After a campaign in which Bolsonaro dismissed investigative reporting as fake news invented by a corrupt establishment and his supporters went after individual journalists, the threats are sending a chill through the country's newsrooms. That newspaper is done, Bolsonaro said in a tense TV Globo interview. Several seasoned journalists working for Brazil's biggest news organizations have admitted in recent weeks that they have started to throttle back their criticism, fearing backlash from a Bolsonaro government - and violence from his supporters. Treating the press as an antagonist is not a new tactic, but the aggressive tone and frequency of Bolsonaro's attacks are very worrying, said the group's coordinator, Marina Atoji. Folha de Sao Paulo Executive Editor Sérgio Dávila said in an interview the paper has taken security measures to protect its reporters after a social media barrage by Bolsonaro supporters over reporting on his campaign's use of messaging platform WhatsApp. This is the most tense recent election, because the massive use of social media has meant journalists are more exposed to the supporters of the candidates, he said. Bolsonaro voters are particularly active on social media, Dávila said, adding that he had never seen such vitriol directed at individual journalists over specific stories. After his victory on Sunday, Bolsonaro said media groups that spread lies will miss out on federal government advertising, which totaled 1.8 billion reais (US$ 670 million) in 2017, including ads by state enterprises. TV Globo, which has long dominated Brazilian media and shaped public debate with its vast audience, receives less than 4% of its annual revenue from government funding, the group said in a statement. Folha said public-sector advertising was less than 5% of revenue. After billionaire media mogul and preacher Edir Macedo threw his support behind Bolsonaro, his Record TV network increased coverage of the right-winger's rallies. It stepped up criticism of leftist challenger Fernando Haddad and played up stories of corruption in his Workers Party, said one former employee. 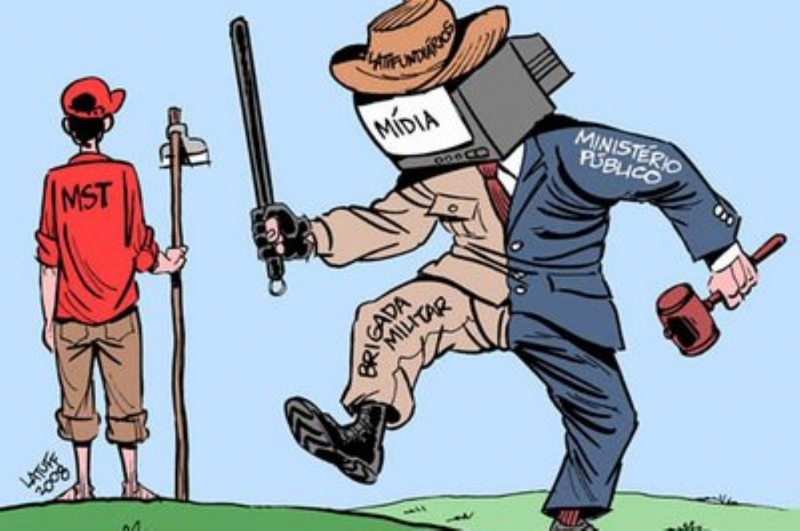 Tags: Brazil, Brazil's free press, Brazilian media, critical press, Fake News, Jair Bolsonaro, marketing budgets, press freedom. And why should ANY government spend half-a-billion dollars of taxpayer's money on propaganda and publicity ? just to keep the TV stations and their leftist artists / journalists / political commentators, in clover ? If the government spent those funds on public health, security etc, the population would see what they are doing, without having to advertise it on TV. A-1: A normal practice in all [supposed] democracies! A-2: Opportunity to handle Caixa-2 + Maney Laundering! A-3: Not even the Tax-Payers care!